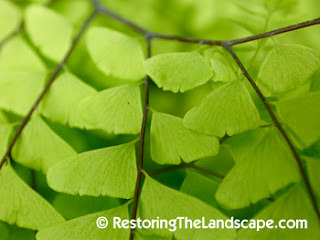 Northern Maidenhair Fern is one of the most delicate native woodland ferns. In Minnesota it often found growing on shady, cool, north or east facing slopes. The stems develop a curve, sometimes almost a complete circle as the pinnae grow. 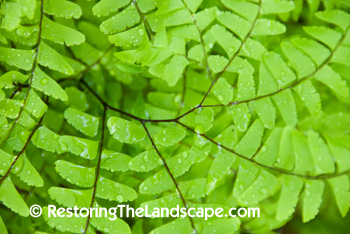 Another great feature of this fern is its dark brown to black stems. It makes a wonderful contrast to the softly textured pinnule. Rusty red fiddleheads emerge in early to mid May. Ferns are great to layer in the native woodland garden with early flowering spring ephemerals such as Bloodroot or Hepatica. Maidenhair fern spreads by rhizomes forming nice clusters. In the home landscape it needs a cool, shady location in compost rich medium soils. The fronds remains green late into the fall season. 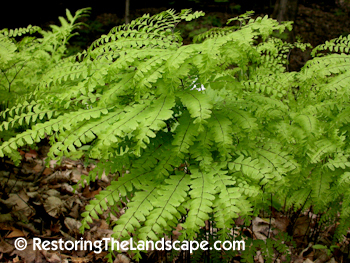 Northern Maidenhair Fern is native to eastern North America. 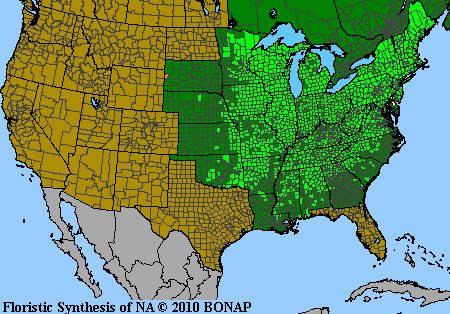 See map below for range.